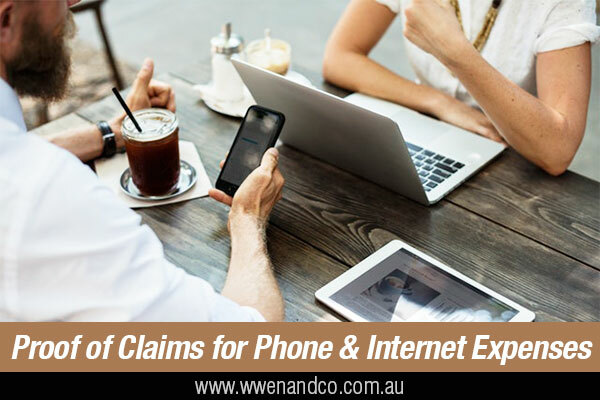 If you use a mobile, home phone and/or the internet for work purposes you should be able to claim a deduction if there are records to support your claims. But the ATO points out that use for both work and private matters will require you to work out the percentage that “reasonably relates” to work use. By default, ATO requires a record for a four-week representative period in each income year to claim a deduction of more than $50. These records can include diary entries, including electronic records, and bills. If your employer provides you with a phone for work use and also pays for usage (phone calls, text messages, data) then plainly you will not be able to claim a deduction. It would be the same if you pay for usage but are subsequently reimbursed by your employer. As there are many different types of plans available, you will need to determine the work component using a reasonable basis. $0.10 for text messages sent from a mobile. If you have a phone plan where you receive an itemised bill, you need to determine the percentage of work use over a four-week representative period, which can then be applied to the full year. the amount of data downloaded for work purposes as a percentage of total downloads. If however, you have a phone plan where you don’t receive an itemised bill, you can determine work use by keeping a record of all calls over a four-week representative period and then calculate the claim using a reasonable basis. Ahmed has a prepaid mobile phone plan that costs him $50 a month. He does not receive a monthly bill so he keeps a record of his calls for a four-week representative period. During this four-week period, Ahmed makes 25 work calls and 75 private calls. He worked for 11 months during the income year, having had one month of leave. He, therefore, calculates his work use as 25% (25 work calls out of 100 total calls). He claims a deduction of $138 in his tax return (25% x $50 x 11 months). Phone and internet services are often bundled together. The ATO says that when you are claiming deductions for work-related use of one or more services, you will need to apportion costs based on your work use for each service. “If other members in your household also use the services, you need to take into account their use in your calculation,” it says. If you have a bundled plan, you need to identify work use for each service over a four-week representative period during the income year. This will allow you to determine your pattern of work use, which can then be applied to the full year. any additional costs incurred as a result of work-related use – for example if work-related use results in you exceeding your monthly cap. any additional costs incurred as a result of work-related calls – for example if work-related use results in exceeding the monthly cap. Des has a $90 per month home phone and internet bundle, and unlimited internet use as part of his plan. There is no clear breakdown of the cost of each service. By keeping a record of the calls he makes over a four-week representative period, Des determines that 25% of his calls are for work purposes. Des also keeps a record for four weeks of the data downloaded and determines that 30% of the total amount used was for work. By keeping a record of the calls he makes over a four-week representative period, Des determines that 25% of his calls are for work purposes. Des also keeps a record for four weeks of the data downloaded and determines that 30% of the total amount used was for work. He worked for 11 months during the income year, having had one month of leave. As there is no clear breakdown of the cost of each service, it is reasonable for Des to allocate 50% of the total cost to each service. Step 1 – work out the value of each bundled component. Internet: $45 per month ($90/2 services). Home Phone: $45 per month ($90/2 services). Internet: 30% work related use x $45 per month x 11 months = $149. Home Phone: 25% work related use x $45 per month x 11 months = $124. In his tax return, Des claims a deduction of $273 ($124 + $149) for the year.